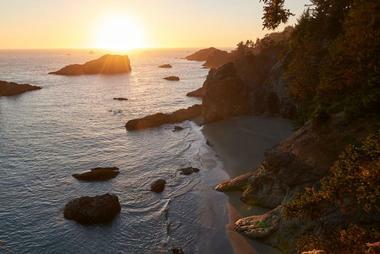 Oregon is a beautiful state filled with beaches, lakes, breweries, resorts, and unique attractions. Visit the Columbia River Maritime Museum, Oregon Trail Interpretive Center, Oregon Observatory and other unique attractions. Top things to do in Oregon for families include the Oregon Museum of Science and Industry, Hartfield Marine Science Center and the High Desert Museum. Here are the best things to do in Oregon. The Evergreen Aviation and Space Museum was founded by Airforce Lieutenant and Oregon Native Michael King Smith. 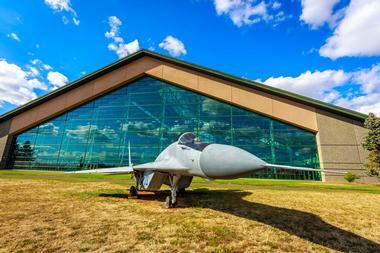 The museum serves to preserve the history of air and space flight, as well as to educate the public. Exhibits include a collection of WWII aircraft, an SR-71 Blackbird, a Titan missile, and a B-17 bomber. Also on display is the cargo hold of the original Spruce Goose, built by industrialist and aviator Howard Hughes. Guests can learn about helicopters, airplanes, and rockets, and can also tour the Oregon Aviation Hall of Honor, which honors outstanding men and women aviators from the state. 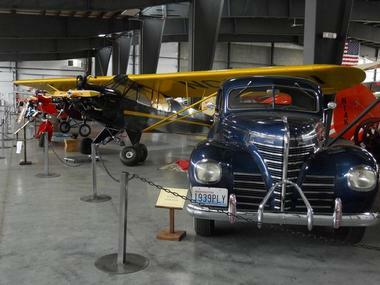 Step into the past at the Western Antique Aeroplane and Automobile Museum. The WAAAM covers over 2.5 acres and contains one of the largest collections of antique automobiles and airplanes in the country. Dozens of still-working aircraft are on display, as well as over 130 classic cars, motorcycles, and tractors. Military vehicles, gliders, bicycles, and antique engines can also be found here. The museum holds special events and shows throughout the year and will often take their classic airplanes up for a flight demonstration. The museum is open daily from 9 a.m. to 5 p.m. The Organ Trail was a treacherous 2,000 mile-long road that settlers took to find a new life on the west coast. 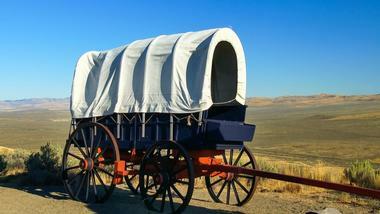 Visitors to the Oregon Trail Interpretive Center will find information about the settlers, their journey, and the dangers they faced along the way. Exhibits include information on the history of the trail, wagon replicas, artifacts from the trail, and depictions of the way of life of both the settlers and the Native Americans from the area. There are also four miles of hiking trails with beautiful mountain views surrounding the center. A theater inside the center hosts live shows, lectures, and films throughout the year. Japanese gardens are places of peace and tranquility, meant for quiet reflection and meditation. The Portland Japanese Garden is a 5.5-acre plot of land beautifully landscaped in the Japanese tradition. The five gardens incorporate the traditional elements of stone, water, and plants, as well as pagodas, water basins, and bridges. The Oregon Museum of Science and Industry is a fun, interactive learning experience for both children and adults. Guests can browse through 5 galleries with over 200 exhibits dedicated to space, agriculture, energy, robotics, and the ocean. Eight laboratories provide hands-on learning experiences in such topics as chemistry, life science, physics, and industrial design. View whales in their natural habitat with Whale Research EcoExcursions. Captain Carrie Newell is a professor of marine biology and a whale researcher. She and her team lead daily excursions to see gray whales as they migrate up and down the West Coast. Part of Oregon State University, the Hatfield Marine Science Center is a working lab where scientists study the ocean and the creatures that live in it. The science center has open exhibits to allow the public to better understand marine life and to help in conservation efforts. 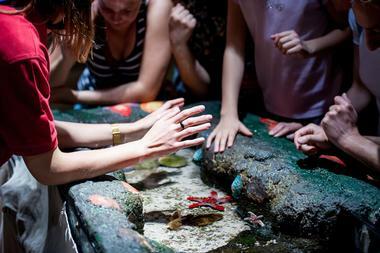 Guests can reach out and touch marine animals such as fish and sea stars in the tide pool tanks, or view three tanks full of colorful ornamental fish. They can see the on-site octopus that occupies the first tank in the building, and watch as he is fed. Educational programs, day camps, and family events are also offered. Wanderlust Tours has been guiding travelers to the best of Central Oregon since 1993. Their professional guides provide small group tours of the natural wonders of the state. In the summer, guests can canoe or kayak on the Cascade Lakes, tour an underground lava tube cave, or view a non-active volcano. In the winter, travelers can take daytime or nighttime snowshoe tour through the snow, or relax and warm up around a bonfire. Local brewery tours and custom events are also available. Tours must be booked in advance. Wanderlust provides equipment. Guests must provide appropriate clothing, water bottles, and sunscreen. The Columbia River Maritime Museum in Astoria is dedicated to the history, landscape, and wildlife of the Columbia River Bar. The bar, one of the most dangerous river passages in the world, has caused approximately 2000 shipwrecks since 1972. The museum contains exhibits dedicated to the history of the area, the pilots of the Columbia River and the U.S. Coast Guard, as well as the floating lighthouse ship, the Columbia. The museum also has an IMAX theater and hosts events and classes for children and adults. Located on the waterfront, the museum is open daily from 9:30 a.m. to 5 p.m. The High Desert Museum is dedicated to the preservation and understanding of the natural history, culture, and art of Oregon. The museum was founded in 1982 by biology student and environmentalist Donald M. Kerr. The Oregon Coast Aquarium is one of the top tourist attractions in Oregon. The museum is committed to educating the public about the nature and wildlife of the Oregon Coast, and conservation efforts. The museum's exhibits showcase native sea life such as harbor seals, sea otters, sea lions, and seabirds. There are also exhibits dedicated to the various natural habitats of Central Oregon, including sandy and rocky shores and coastal waterways. Guests can even scuba dive in the large aquarium, or get a kiss from a sea lion! The aquarium is open every day of the year except for Christmas Day. Located on the southwest side of Portland, Washington Park is more than just a place to picnic and play. The park contains many attractions for children and adults. There are playgrounds, picnic tables, soccer fields, tennis courts, and an archery range. The Portland Children’s Museum and Oregon Zoo are a part of the park. Guests can view beautiful plants, trees, shrubs, and flowers in the Portland Japanese Garden and the Hoyt Arboretum, which are also on-site. The park is beautifully landscaped and contains memorials to Vietnam veterans, Holocaust victims, and Sacajawea. The park is open daily from 5 a.m. to 10 p.m.
Powell’s Books, one of the biggest attractions in Portland, has been in business since 1971. Their inventory contains over 2 million new and used books, and they sell at five locations in Portland and through the internet. 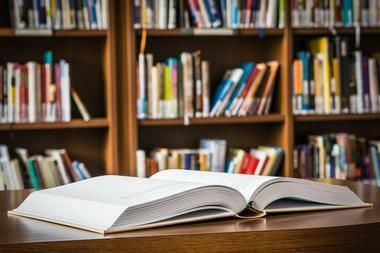 Powell’s is dedicated to the love of the written word and does more than just selling books. They host book clubs, story time for children, writing workshops, and more. Their flagship location in Portland covers an entire city block and contains 1 million books, a reading gallery, a rare book room, and a coffee shop. Powell’s is open daily from 9 a.m. to 11 p.m. The Lan Su Chinese Garden was built by Chinese artisans and reflects the traditional Chinese style of blending art with nature. Guests can relax and connect with nature as they take a quiet walk through the beautifully landscaped paths. 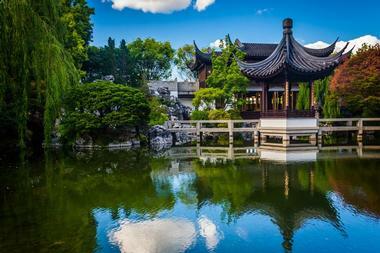 The garden also offers many activities, events, and classes that showcase Chinese art and culture. Learn how to play Mahjong, watch a demonstration of Chinese brush painting, or listen to Chinese music or poetry. The garden is open daily, year-round. Self-guided tours are always available, and guided tours are offered at various times throughout the day. 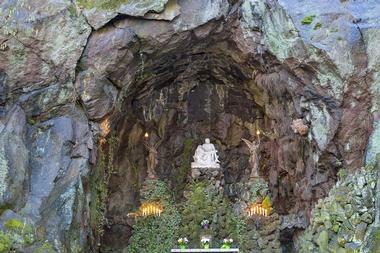 The Grotto is a spiritual retreat dedicated to Mary, the mother of Jesus. It is a National Catholic Shrine which provides a place of peace, quiet, and spiritual restoration to its visitors. The Grotto contains a botanical garden with native plants and trees. In the center is Our Lady’s Grotto, which is a cave carved into a massive cliff. Other parts of Grotto include beautifully landscaped gardens, a chapel, religious artwork, and beautiful views of the Cascade Mountains and Mt. Saint Helens. A gift shop and visitors center are also on-site. The Grotto is open daily. People of all faiths are welcome. Anthony Lakes is a ski area and a mountain resort in eastern Oregon’s Blue Mountains, in the Elkorn Range, near Baker City. Known for the best powder skiing in the Northwest and 1,100 acres of ski terrain accessible by ski lift, the Anthony Lakes resort has a vertical drop of 900 feet and has one triple chairlift. It offers snowcat skiing on several nearby mountain peaks, maintains several cross-country ski trails, and even has its own Nordic center building. Angell Basin and several other areas offer backcountry skiing. 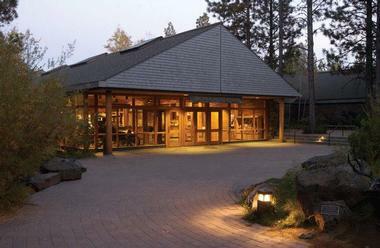 There is a full-service lodge with a cafe, bar, retail, and rental shops. When the snow melts, Anthony Lakes become a hikers’ paradise, with several popular trails, including a demanding 8.2-mile loop around Gunsight Mountain and an easy 1-mile loop around Anthony Lake. 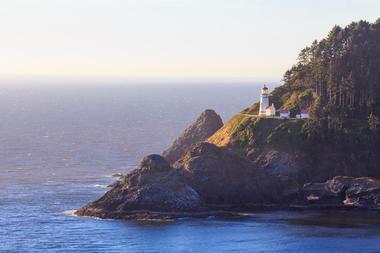 Heceta Head Lighthouse sits high on a cliff overlooking the rocky Oregon coast. It is a working lighthouse and has been in operation since 1894. Its light can be seen up to 21 miles out to sea. Behind the lighthouse is the Keeper's House. It served as the lighthouse keeper's home for many years. Now it houses an Interpretive Center and a six guest-room bed and breakfast. Lighthouse tours are available year-round, and tours of the Interpretive Center are offered during the summer. The lighthouse can also be rented for weddings, parties, and special occasions. 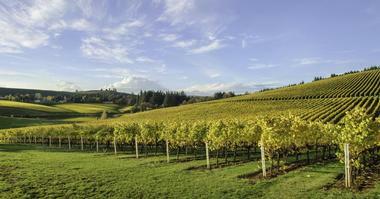 Willamette Valley is Oregon's premiere wine country. Over 700 wineries can be found in the area's 150 square miles. In addition, local farms provide fresh produce and meats to the area's many farm-to-table restaurants. Shopping, dining, entertainment, and lodging are available in the charming towns and cities throughout the valley. Travelers who crave adventure will find hiking, biking, horseback riding, kayaking, and camping among some of the most breathtaking scenery in the United States. There are parks, museums, theaters, amusement parks, and more. Willamette Valley truly has it all! 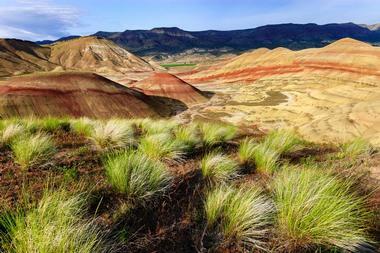 Explore the past at the John Day Fossil Beds National Monument. 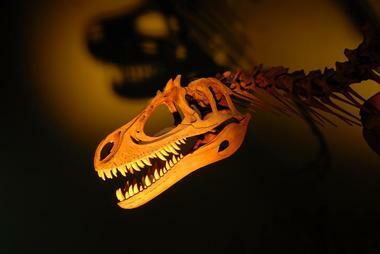 The beds contain the fossilized remains of plants and animals that lived in the area millions of years ago. They form an excellent picture of the changes that the earth and its ecosystems went through during that time. In addition, the park contains beautiful scenery in the form of towering cliffs and colorful hills and on-site museums. The park is a natural habitat for many varieties of mammals, amphibians, birds, trees, and plants. Wildlife and plant life change seasonally, so there is always something new to see. The park is open daily, year-round. Museum hours vary. Fort Rock Valley Homestead Museum strives to preserve the history of the early-20th-century Fort Rock village, which is located approximately one hour southeast of Bend, Oregon along Highway 31. 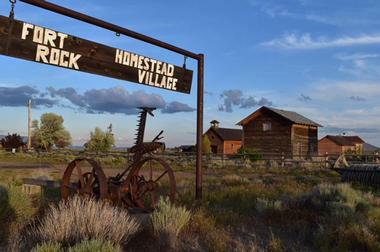 The museum is overseen by the Fort Rock Valley Historical Society, which was founded in 1984. Four years later, the living history museum was opened to the public, showcasing a number of homestead-era homes and structures that have been preserved and relocated to their current locations. Visitors can explore historic structures such as the 1920 Land Office/Widmer Cabin, the 1910 Menkenmaier Log Cabin, and the Fred Stratton Home, along with preserved civic buildings such as the Fort Rock Mercantile, Saint Bridget Catholic Church, and the 1912 Sunset School, the region's final remaining homestead-era public school. The museum is open to the public during the summer months Thursdays through Sundays, with special tours available by appointment. The Opal Creek Ancient Forest Center stands as a monument to the past. Two-thousand-year-old artifacts from the original Native American inhabitants have been found there. In 1859, gold was discovered in the mountains, and miners came to settle in the mining town known as Jawbone Flats. 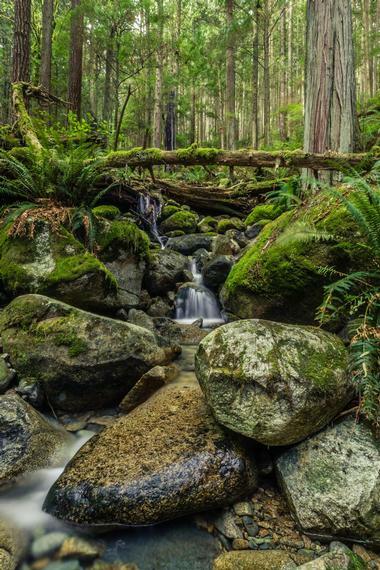 In the 1990’s, over 30,000 acres of wilderness was combined into a national preserve, the Opal Creek Ancient Forest. Today, the Jawbone Flats town has been restored and preserved, and the forest contains hiking trails, campgrounds, and cabin rentals. They also offer expeditions, workshops, and educational courses to promote conservation and stewardship for people of all ages. 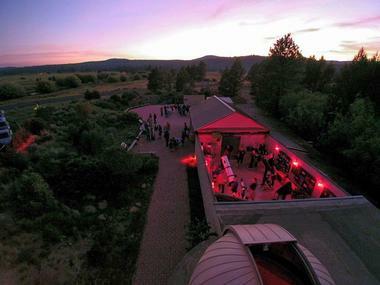 When the sun goes down, the fun begins at the Oregon Observatory. The Observatory has a large collection of telescopes available to the public. Visitors can view nebulae, deep space stars and even distant galaxies through a guided constellation tour. During the daytime, guests can get a safe, up-close view of Earth’s closest star, the Sun. The observatory also hosts lectures, school programs, and star parties, and can be booked for private parties and events. The observatory is open from June until October. 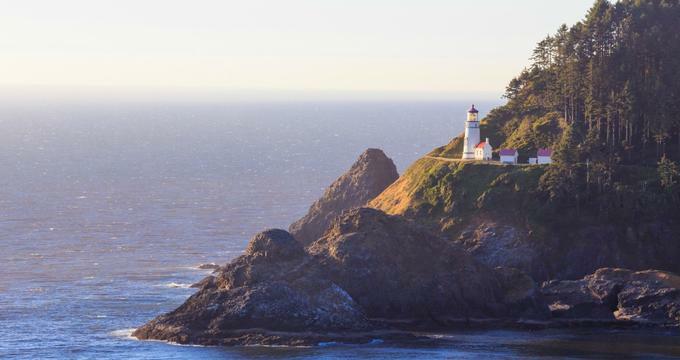 There are about 60 miles of rugged southernmost coastline of Oregon between the charming friendly towns of Port Orford and Brookings. The wild and untamed surroundings are perfect for exploring on foot, on a bike, in a kayak, or on a paddleboard. South Coast Tours make it easy to enjoy this magnificent part of the world, whether you are interested in nature watching, fishing, nature photography, or something a bit more exciting like surfing or wild water rafting. They offer completely equipped 2-11 person tours in the Pacific Ocean and in freshwater. They offer a range of tours including paddle tours in Coos Bay, Port Orford, Bandon, Rogue River on Gold Beach, and on the beautiful Chetco River in Brookings. They also offer surf lessons and provide boards and wetsuits. 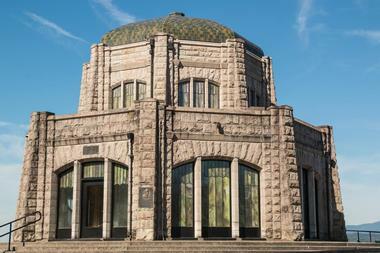 Vista House stands 733 feet above the Columbia River at Crown Point. It is a gray sandstone building with a rotunda on the top that serves as a look-out point for travelers to the area. Vista House offers spectacular views of the Columbia River Gorge. Visitors to the house can also learn about its history and construction, and about the geography and native wildlife of the area. The lower floor of the house contains a gift shop and espresso bar, with proceeds from sales going to the upkeep of the structure. 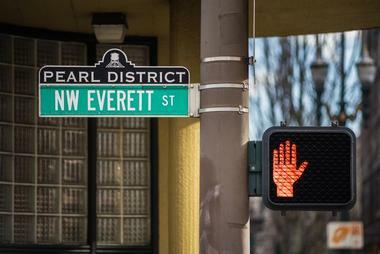 Portland’s Pearl District is an urban success story. The once-booming neighborhood had fallen into disrepair and ruin by the 1980’s when a group of developers purchased the land and buildings with a vision to rebuild. Today, the Pearl District is a diverse neighborhood with many affordable and upscale apartment complexes, as well as office and retail buildings. Visitors will find over 70 restaurants offering everything from burgers and craft brews to pasta to Asian specialties. Retail stores sell clothing, accessories, shoes, home décor, athletic equipment, and more. And don’t forget about First Thursday, an art festival held on the first Thursday of each month. With over 5,000 acres of wilderness, Forest Park is a nature-lovers paradise. The park was designed the Olmstead brothers, New York’s Central Park’s designer’s sons. It was commissioned in 1948 and has served as a natural oasis in Portland ever since. The park contains over 80 miles of hiking trails and covers a 7 mile stretch of land in Northwest Portland. The park also hosts many programs and events for the public, such as guided hikes, herb walks, cycling, and lectures. High on a hill, 600 feet above the city of Astoria, sits the Astoria Column. The column was the last in a series of monuments commissioned by Ralph Budd and placed across the United States. It stretches 125 feet into the air and is covered with artwork originally drawn by Italian artist Attilio Pusterla. Scenes on the column depict the early settlement of the state. Guests can climb to the top of the column for a bird’s-eye view of Astoria and the Pacific Ocean. There are picnic tables and benches on the surrounding grounds, as well as access to the Cathedral Tree Hiking Trail. The Wooden Shoe Tulip Farm began as the humble family farm of Ross and Dorothy Iverson in the 1950’s. In 1974, they began growing and selling tulips. Today, the farm contains over 15 acres of tulip growing fields. The farm is open to the public from the end of March to the beginning of May, when thousands of tulips open their blooms in a breathtaking display of color. Fresh cut bouquets and tulip bulbs are also available for purchase. Wooden Shoe also hosts a pumpkin fest and Halloween display in the fall and the farm can be rented for weddings and other special events.